Now that I’ve done my required looking back at the year that has been, it’s time to look forward to 2012 and make some predictions. Some of these will be bold, while some while fall more into the “well, duh” category. I suspect a lot of these will not come true, but that will solely be blamed on the crystal ball being flawed rather than any perceived incompetence of the fortune teller. These are not thing I necessarily want to see happen, I should add. 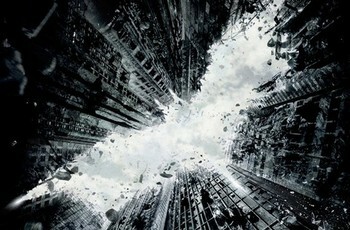 The Dark Knight Rises will of course be a juggernaught at the box office and will receive plenty of praise from both critics and movie-goers alike. There will be no massive love for any particular performance a la Heath Ledger, however. General consensus will be that Anne Hathaway‘s Catwoman is vastly inferior to Michelle Pfeiffer‘s in Batman Returns. The Artist will not win Best Picture at the Oscars. Despite a strong marketing push, Ridley Scott‘s Prometheus will underperform business-wise. Noomi Rapace‘s Hollywood career will be off to a rocky start, and she’ll return to Sweden before the year is done. A film premiering at Sundance will be showered with critical acclaim, and by the end of the year, it will be considered one of the leading contenders for the Best Picture Oscar. The Hunger Games will do respectable numbers at the box office but will not become a mega-hit, because the main character is a girl and it’s not Twilight. Jennifer Lawrence will start heading towards mediocre romcom hell, following in the footsteps of Kate Hudson. Winter’s Bone will seem a lifetime ago. Ryan Gosling will be able to maintain his fame and prominence from 2011 better than both Michael Fassbender and Jessica Chastain. The Avengers will be torn to shreds by critics. Words like “bloated” and “overblown” will be thrown around. American cinema audiences will flock to it regardless, but international reception will be lukewarm. Daniel Day-Lewis‘ performance in Lincoln will be hailed as one of his best ever. The film in general won’t fare as well. Pixar will bounce back from the critical failure of Cars 2. Brave will be a major hit and restore everyone’s faith in the studio. The Best Animated Feature Oscar will seem imminent. The surprise hit of the summer: Rock of Ages. “The musical is back!” review quotes will proclaim in ads. Michael Cera will do nothing to show versatility and make himself more respected in the world of film. He’ll still rake in money doing his usual schtick, though. Norway will emerge as a major player in the field of international cinema. Swedes will groan and moan. Mel Gibson will go a full year without any PR catastrophes. Lars von Trier won’t, despite his self-imposed vow of silence. The Amazing Spider-Man will do about as well as Superman Returns did, in all fields. The ratings for the Oscars broadcast will be up a bit from previous years. Billy Crystal will be announced as returning to host the 2013 ceremony as well. Bloggers will cry out about how the Academy are a bunch of old phogeys scared of change. Then AMPAS will change the rules of Best Picture nominations again. News will emerge that Jason Statham has signed on for a family comedy in which he will play some form of child caretaker. When questioned about this, Statham will debunk the rumor with harsh words not fit for print. To drive home the point, he will then announce plans for seven new action films to be released in 2013, including a third Crank movie and his directorial debut. Speaking of third films in a series, a sequel to Before Sunset will be formally announced. Last but not least: lots of great films will be released. Some expected, some not. 2012 will be a good year. Have a great New Year’s Eve, everyone! See you in 2012! Posted by Emil on 30 December, 2011 in Misc. Ha! You have notably grounded my expectations for the year! I really, really hope the Statham thing actually happens. There can never be too many Statham flicks in the world! He will be to 2013 what Ryan Gosling was to 2011, I’m sure. I love your predictions, I am sure some will definitely happen, like TDKR succes, the Avengers disaster, the Sundance hit, A.Hathaway worse then M.Pfeiffer. 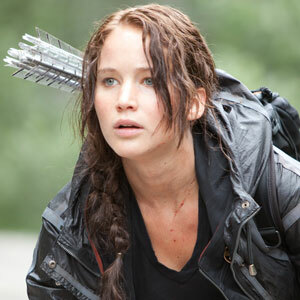 I do hope you are a little wrong about Fassbender and Chastain’s rising star and for Hunger Games, but time will tell! Great post! To clarify, I think both Fassbender and Chastain will do well for themselves in 2012. I just see Gosling doing better, is all. Thank you for the kind words! haha nice! But I bet you’re wrong about Mad Mel. He will struggle to contain himself. I hope you’re wrong about Jennifer Lawrence and Prometheus but I bet you’re bang on the money about Avengers and Lincoln. It would be great to get a sequel to Before Sunset! Happy New Year! No no, I’m never wrong. It’s just the crystal ball being glitchy. :P Happy New Year to you too, Pete! Aside from that last paragraph about 2012 being a good year, a rather cynical article don’t you think? ;) No, I’m kidding; I agree with everything you’ve written. Well done. Ha! It was actually even more cynical at first draft, so I added a few more positive predictions. Which feels more fair, considering that I tend to be quite optimistic when it comes to movies in general. Naw, I think The Artist will win Best Picture. It might look that way now, but I think there’ll be a shift in momentum before the ballots are due. The Help, The Descandants or War Horse would be my bets for the win. Oh God, I hope they don’t ALL come true. That would freak me out to no end.